Lot 38 purchased by Spendthrift at the Inglis Australian Easter Yearling Sale. Victorian-based global thoroughbred investor Spendthrift Australia went to $1.7 million to secure a colt by Japan’s champion sire Deep Impact (Sunday Silence) from Arrowfield on day one of the Inglis Easter Yearling sale. In a buying partnership that combines Group 1-winning trainer, Lloyd Kennewell and his trusted agent Mathew Becker of Group 1 Bloodstock, Spendthrift Australia was able to land the colt with a single winning bid, with the potential stallion prospect becoming the first seven-figure yearling of the day. The colt is from a current Australian Group 1-winning family, out of the winning mare Grito (Redoute’s Choice), who is a half-sister to Group 1-winning sprinter Yell (Anabaa) and his Listed-winning sister Sung, is the dam of Microphone. Grito is also a half-sister to Shouts (Strategic), the dam of Group 1 Canterbury Stakes winner Holler (Commands). Spendthrift Australia’s Garry Cuddy was confident about Deep Impact being able to make his mark in Australia. “There’s not many to choose from, and he’s the best stallion in the world, so we had to give a bit to get him, but we are definitely happy to have him in our stable,” Cuddy said. Cuddy said the partnership with Kennewell was formalised on Monday night, with some of the trainer’s clients set to join Spendthrift Australia in racing the colt. “We would have looked at him close to ten times in the last few days. We’re really happy to start our sale with him,” he said. 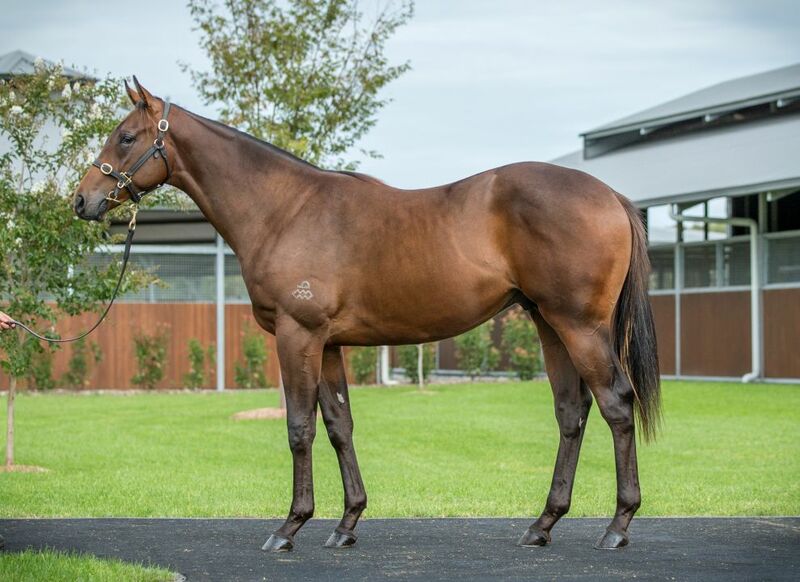 It was also the second time this sales season that Kennewell has bought a yearling for $1.7 million, having bought the highest-priced lot, who was a colt by I Am Invincible (Invincible Spirit), at the Magic Millions Gold Coast Yearling Sale in January. “He is probably a bit different to the Deep Impacts I have seen out here in the past couple of years,” Kennewell said.